Human interactions can be either positive or negative, giving rise to different complex social or anti-social phenomena. The dynamics of these interactions often lead to certain spatio-temporal patterns and complex networks, which can be interesting to a wide range of researchers—from social scientists to data scientists. Here, we use the publicly available data for a range of anti-social and political events like ethnic conflicts, human right violations and terrorist attacks across the globe. We aggregate these anti-social events over time, and study the temporal evolution of these events. We present here the results of several time-series analyses like recurrence intervals, Hurst R/S analysis, etc., that reveal the long memory of these time-series. Further, we filter the data country-wise, and study the time-series of these anti-social events within the individual countries. We find that the time-series of these events have interesting statistical regularities and correlations. Using multi-dimensional scaling technique, the countries are then grouped together in terms of the co-movements with respect to temporal growths of these anti-social events. The data science approaches to studying these anti-social phenomena may provide a deeper understanding about their formations and spreading. The results can help in framing public policies and creating strategies that can check their spread and inhibit these anti-social phenomena. 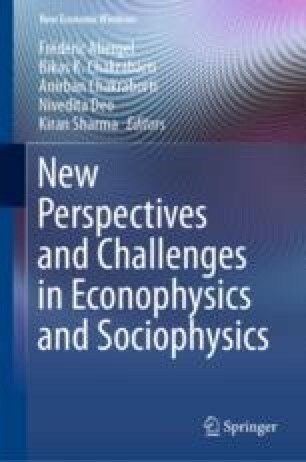 The authors would like to thank Anirban Chakraborti, Vishwas Kukreti, Arun S. Patel and Hirdesh K. Pharasi for critical discussions and inputs. KS acknowledges the University Grants Commission (Ministry of Human Resource Development, Govt. of India) for her senior research fellowship. SSH and KS acknowledge the support by University of Potential Excellence-II grant (Project ID-47) of JNU, New Delhi, and the DST-PURSE grant given to JNU by the Department of Science and Technology, Government of India.